For a quick beach weekend gateway from Singapore, there is quite a few places you can go to: Bali, Phuket, or Bintang. But all of them present a major inconvenient: they all packed with tourists and all the annoyance that come with massive sightseeing. On the other hand Malaysia has been quiet for a very long time with its beauty and its richness on the international scene, but very loud with its regional clientele. This actually, might pay off in the long run. Langkawi is an archipelago of 99 islands (104 at low tide), on the north east side of main Malaysia, next to the Thai Border. If Krabi, Phuket and others Koh Phi Phi are not to be presented anymore to the international scene, Langkawi has yet to be. Just few kilometers south of the major Thai gateway, the group of islands has an international airport with direct access to fantastic 5 stars resorts and cheap rental with view on the beach. Jungle and rice pady on the back door and warm sea on the front, the 2 km long of Pantai Cenang street is a delight for the tourist on search for relaxing time. 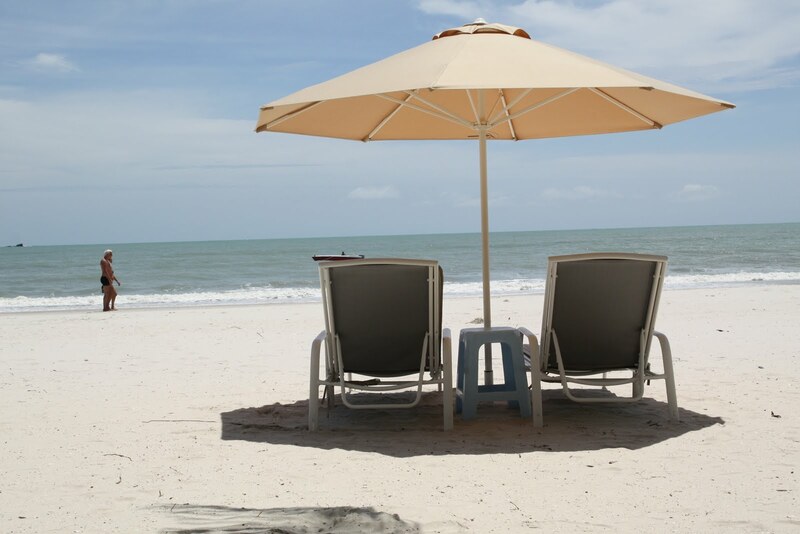 Cheap food, drinks and accommodations since Langkawi is duty free, the islands are a paradise for budget conscious traveler who do not want to compromise with quality or activities in their vacations. It is then normal to see some backpackers who wanted to expand their island hoping experience up to the south side of the marvelous Thai jewelries. Of course, one can always complain about the slowness of the islanders and the lack of services that one can find in the area, but in reality, Langkawi is a descent compromise for those in search of relaxing relaxed time on the low side of the wallet with some sun and good food. 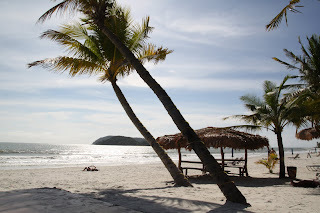 And what is Langkawi could be the next hot spot to discover on the Asian side of the planet? 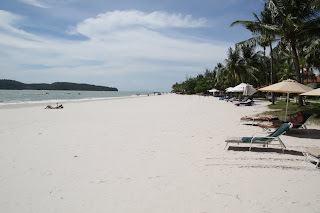 Langkawi is an archipelago of 104 islands at low tide and 99 island high tide in the Andaman Sea, some 30 km off the mainland coast of northwestern Malaysia, and on the border with Thailand. The best way to reach the main island is by plane from Penang, KL or Singapore. Some ferries from Thailand and mainland Malaysia also could be a nice and slow entry or exit point from the island. Basically you have 3 mains options to go to. [a] Or you prefer a reclusive all inclusive resort and the further away the better it will be for you. The only thing you will do then will be moving from the swimming pool to the restaurant and finally to the room. 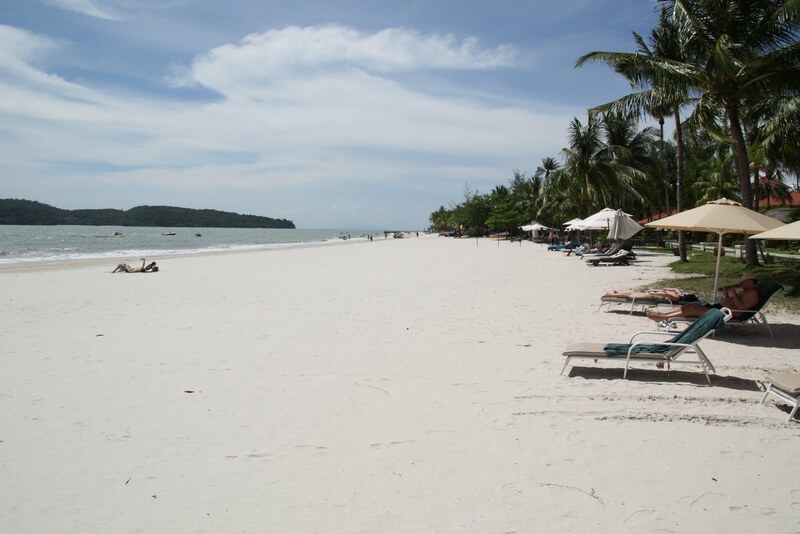 Tengah/Cenang beaches offer a certain vibe where you could almost decide where you would want to eat and do for leisure. 12 bricks Villas with bedroom/living room/kitchen to spare your luggage. Nice, quiet, clean, and elegant with some Ikea touch sometimes. Breakfasts are copious with mix of western and Malay (Nasi Lemak & Roti Prata). This location is on the high side but is clean and well located for couple only (no kid allowed). This all inclusive is probably the best located 4/5 stars of all hotels. Right on the beach yet quiet, the clientele seems to be over 65. Recommended only if this is the last resorts available. Reclusive, Exclusive, Elegant. Voted among the best hotel in Malaysia. 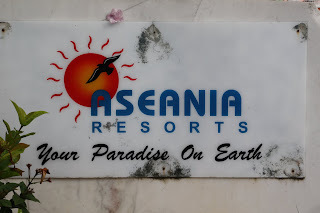 If money is not an issue, highly recommended even if it's close to the airport (the 10 or so daily flights will not spoil your stay) and not on the best beach spots. Swiss chef, German Beer, International clientele. If you want to play it safe and still have the villa on the beach, close to nature experience, this place is for you. (next door to the Casa Del Mar) . 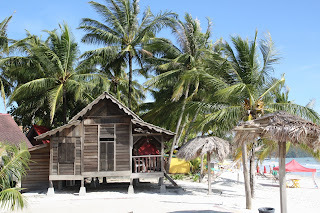 Off the beaten track, this small place and its 20 or so small cabanas next to the ocean offer an quiet retreat away from the "noise" of Cenang. The beach is nice but has a wild side to it. If you have kids and do not want to spend the entire days worried about the current and the waves better go somewhere else. The resort itself is a low profile bungalows next to each others, except that they have 5 tree houses and 2 wooden villas sitting in front of the sea. If your deal is see the ocean sunset from your tree, this is the only place you should at. Make sure you ask for Semarak villa, Meranti, Cengal, Jati (Menpar is a tree-house but behind Meranti and does not have an ocean view). 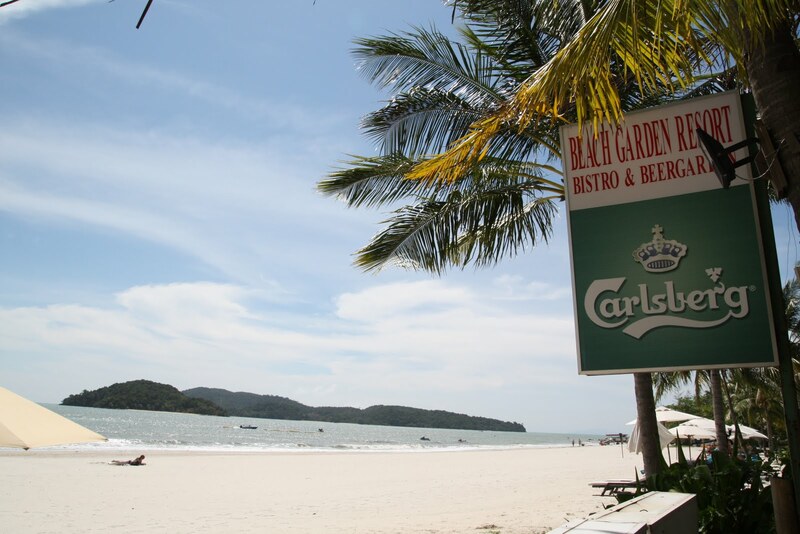 The 2 km long beach along Tengah/Cenang are your best best for good food on the island. This Japanese restaurant has been rate among the best restaurants in Malaysia since 2005. The food is fresh and the sushi excellent. A true Japanese experience in a Malay island. If the awkwardness does not bother you, don't hesitate to seat on the top floor overlooking the sunset with a platter of fresh sushi or sashimi. Swiss chef, German Beer, International clientele. Food is consistently good and large in portion with a western side of it. Comfort food is so comfortable that with a beer at 4.5 RM (happy hour) and your feet in the sand, this is the best place to over com your sunburn. This place is also very popular among the tourist in Langkawi. Watch out with a copycat name Tomato is this one is not that great !!! Orange shop with some Paris posters on the walls, this place try to recreate an atmosphere that some Parisian would not find unfamiliar. Now when it come to food, all patisseries you can have are true to the letter of what could be found back in France at a corner store of every village. Special mention to the Eclair (both Coffee and Chocolate) and the Mille Feuilles. Everything is good. If there is one place to go to in Langkawi that would be the one. This island is a paradise for those who wants to relax essentially. Shopping is almost mandatory when you know that there is not sales tax on the island. So everything you want is there at a very low price. Alcohol, clothes, or handicrafts everything is a stiff discount. Many Duty Free mall (no tax) are along the main road, and the capital Kueh is just a long road of discount mall after another. Gaya Minami [website] is probably the most interesting of all handicrafts shops. Cable Car: The view is fantastic on top of the highest point of the island ... is its not raining of course. Flying Of : Firefly [www.fireflyz.com.my] is a new regional airline company that propose interesting inter-cities flight at a discounted fares.